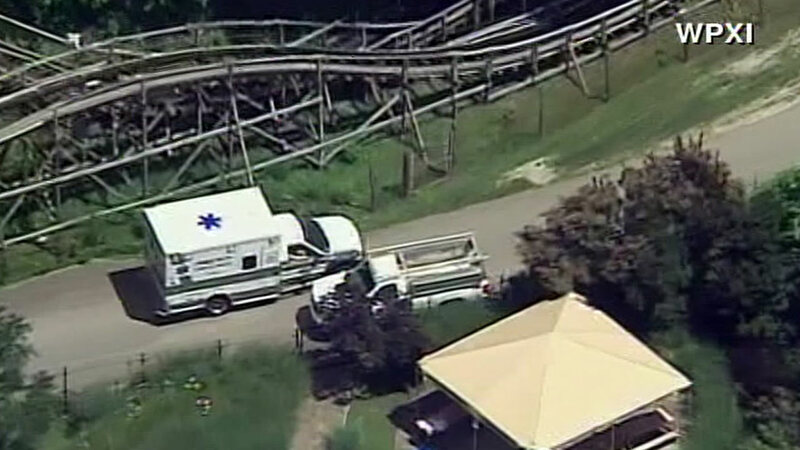 LIGONIER, PA (KTRK) -- A boy has been injured in an accident on an old wooden roller coaster in Pennsylvania and has been hospitalized. A spokesman for Idlewild and SoakZone amusement park near Ligonier (lihg-uh-NEER') says the boy was injured Thursday while riding the attraction with his brother. A county dispatcher says the boy fell off the ride. But the park hasn't provided details on what happened. Officials say the boy was conscious when he was airlifted to a hospital. The boy's name, age and condition haven't been released. The Rollo Coaster opened in 1938 and takes riders up, down and around a wooded hillside. It doesn't require seat belts. It passed an inspection Saturday but will stay closed until an investigation ends. On Sunday, a boy was decapitated riding a waterslide at a Kansas water park. Visitors to Schlitterbahn Galveston are wary after a young boy died at Schlitterbahn Kansas City on Sunday night.